Montford is located in Buncombe County just a short walk from Downtown Asheville. Montford is a great place to live. A portion of Montford is a National Register Historic District, the first of three local historic districts to come under the jurisdiction of the Historic Resources Commission (HRC) of Asheville and Buncombe County. The close proximity to local favorites including downtown Asheville, Montford Park, the Hazel Robinson Amphitheater, eclectic restaurants, seasonal farmers markets, and bookstores make Montford one of the most walkable neighborhoods in Asheville. The Montford Neighborhood consists of about three hundred acres and retains more than six hundred structures representing a rich diversity of architectural styles, most constructed between 1890 and 1920 during Asheville’s emergence as the greatest city of the Southern Appalachians. 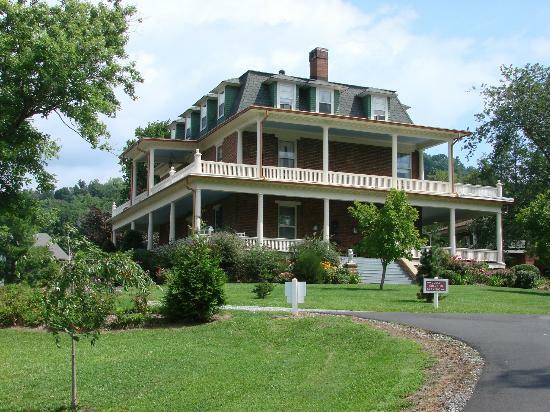 Today the Montford community is home to several businesses and the restoration of the neighborhood has lead to the establishment of quite a few Bed and Breakfasts. Montford is a very sought after neighborhood for people that enjoy the older homes with large rooms, large front porches and the old time charm. In 1977, much of the Montford neighborhood was designated as a Historic District and listed in the National Register of Historic Places. Additionally, the Asheville City Council in 1981 designated the Montford Historic District a local historic district. Montford's success has been fostered by its proximity to Asheville's city center. Montford is an inspiring mixture of beautifully restored homes, bed and breakfast inns, and a history that’s tied to Asheville’s pre-Depression heyday. Few neighborhoods express the rich architectural heritage and vitality of Asheville better than the Montford Historic District. The style of homes varies from Victorian, Queen Anne and Arts and Crafts to Neoclassical, Colonial Revival and castle-like motifs. Iin the past couple of decades many people have bought and restored homes. Quite a few of the structures now operate as bed and breakfast inns. It’s an especially sought after neighborhood because it is so close to Downtown, and with the wide sidewalks, it’s easy to walk into town for work or entertainment. 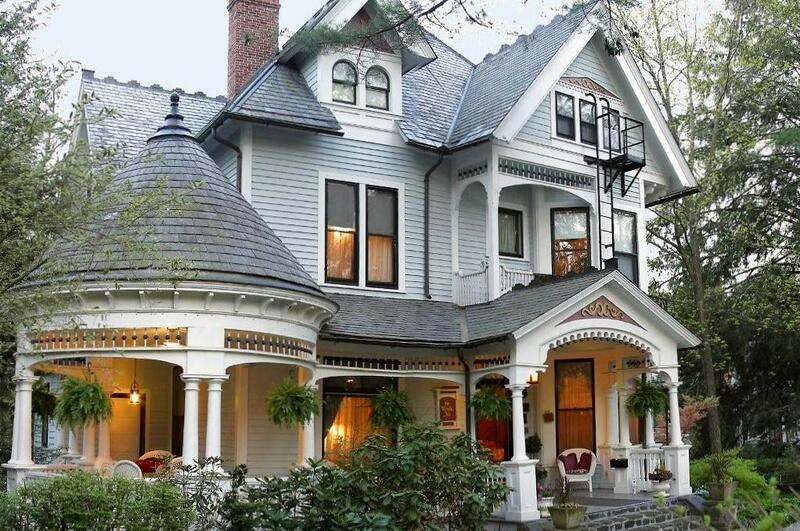 Montford is popularly called a “Victorian” neighborhood. While some of these architectural features do abound in Montford, the term does not do full justice to the neighborhood’s complex overall character, which is that of a late and post-Victorian suburb. The neighborhood mirrors in subtle ways Asheville’s cosmopolitan character at the turn of the century. Among the most numerous and most important houses in the district are those executed in the Shingle style. This prevalence reflects both the prosperity of the town and the presence of architects and clients acquainted with this fashionable trend. The adjacent area known as Montford Hills was dubbed a suburb of Montford and built primarily in the 1920s. Montford Hills is outside the jurisdiction of the HRC. The Montford Hills sub-division of Montford, developed in the mid to late 1920’s, incorporates designs found in Montford’s original homes. From styles mentioned above, to Neo-Classical apartment buildings to bungalows, Montford has one of the richest varieties of architectural styles in North Carolina. Asheville Public Schools: Asheville High School (known as Lee H Edwards High School) School of Inquiry and Life Sciences at Asheville, Asheville Middle School, Claxton Elementary, Randolph Learning Center, Hall Fletcher Elementary, Isaac Dickson Elementary, Ira B. Jones Elementary and Vance Elementary. Charter Schools: Francine Delany New School for Children, Evergreen Community Charter School. Private Residential High Schools: Christ School (all male) (located in Arden) and the co-educational Asheville School. Several other private schools, including Carolina Day School, enroll local day students.